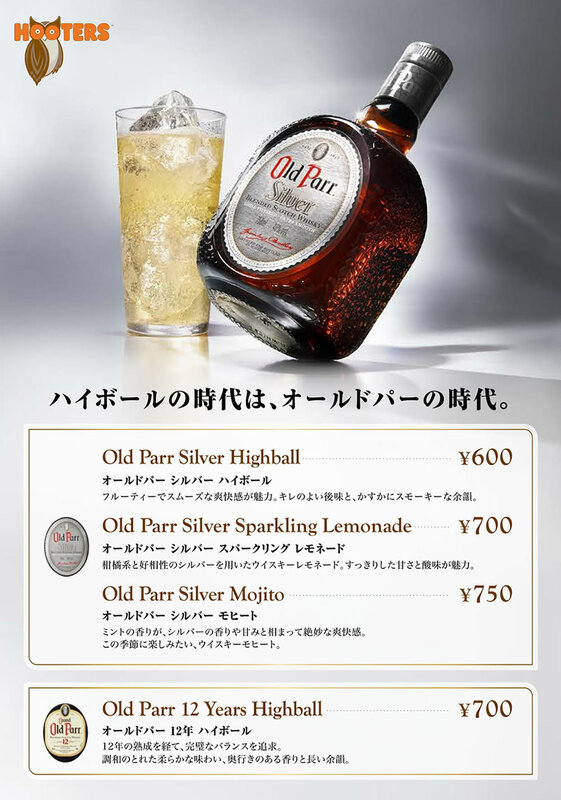 For a limited time only, HOOTERS is offering “Old Parr”, a premium blended scotch whiskey. Inspired by the legend of Old Thomas Parr, who lived for 152 years and 9 months, this blended scotch whisky has smooth and accessible flavor that is perfect for sharing. Enjoy simply on rock or with soda/water, or try our original Lemonades and Mojito for a refreshing taste!